How to handle collector calls. Simple. Easy solution. Here’s what you should say to handle collector calls. A phone call from a bill collector will ruin your day. You can gain the upper hand when you are dealing with a bill collector, IF you know how. I’ll show you some techniques. In a few seconds, you will know how to handle collector calls. How To Handle Collector Calls. The next time a bill collector calls, use a calm voice. Say you are now recording the call, (even if you are not). Say that you are getting ready to file Bankruptcy, (or that you already filed and say your case number). Say the name and phone number of your Los Angeles Bankruptcy Attorney, and say that your lawyer has told you not to pay them. Don’t let them rattle you. Their job is to upset you. Stay calm. The day’s of sending a thug to break your knee caps are long gone. You Can Scare off the bill collectors. If they accuse you of bad conduct—thievery, fraud, or any other silly thing—remind them you are recording the call. Next, ask them if they want to say any other stupid things so that your Los Angeles Bankruptcy Attorney can play it in court for the judge! That should shut them up. It should also scare off the bill collector. If the bill collector thinks they are being recorded, I doubt you will get hassled. If you are already consulting with a Los Angeles Bankruptcy Attorney about filing a petition, these bill collectors may soon be a thing of the past. Unfortunately, many companies will continue to bill you even after the court sends your bankruptcy notices to creditors. For the most part, this happens because the creditors are inefficient. They are not trying to harass you. The information about your bankruptcy case simply has not yet been entered into their automated billing systems. Even so, it is annoying, and you probably want to make it stop. Take one of the BK notices you got for your court hearing, and make some copies of it. Staple a copy of the Bankruptcy notice to the bill. The creditor will now have to leave you alone… forever. 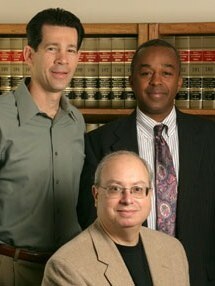 Bayer, Wishman & Leotta, is a Los Angeles Bankruptcy Attorney firm. We want you to find a way save your property. If you need a bankruptcy, we want your case to go as smoothly as possible, whether you hire us or hire someone else. That is why we have assembled the best packages of Free Los Angeles Bankruptcy Attorney Advice that you can find on the Internet. We have great Free Los Angeles Foreclosure Advice. You can also learn a great deal from reading Bankruptcy Questions and Answers. Other people are going through the same problems that you might have. If so, you will like ASK LEON on the Nolo Publications bankruptcy blog web site at http://blog.nolo.com/bankruptcy/.